A snap of Bodmin Jail that I took four years ago. A few weeks ago I mentioned that I have a short story coming out in an anthology this year, and that you would hear more about that soon. So here I am to tell you more. Are you excited? I'm excited. 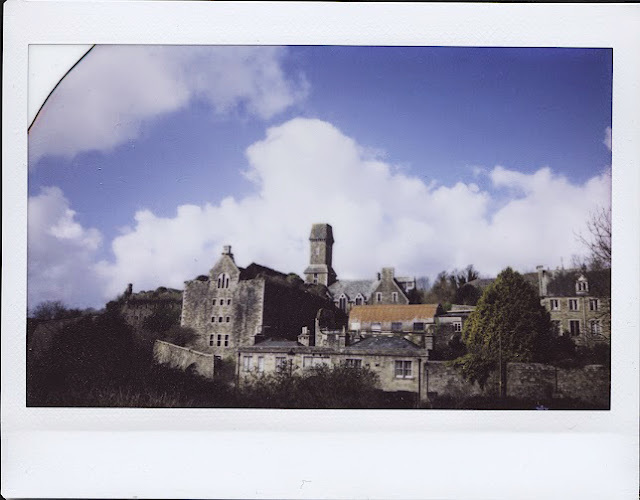 After a couple of false starts and far too much procrastinating, I wrote The Haunting of Bodmin Jail, a ghost story set in a building that isn't haunted. I got the idea from an advert I heard on local radio (and I'm not kidding when I say I never listen to local radio) for nighttime ghost tours of Bodmin Jail with their 'resident medium'. I cracked a joke to my parents about pretending to talk to ghosts for a living, and then basically ended up stretching that joke out to an almost 5,000 word short story. I sent the story in (on the deadline day, of course) and a month later I got a reply. It was a yes. I've been unnecessarily secretive about it ever since because I am forever worried about jinxing good things, but since I have seen the proofs for the book now and my story is definitely still in there, I think I'm safe to finally tell you about this book I'm part of, Cornish Short Stories: A Collection of Contemporary Cornish Writing. 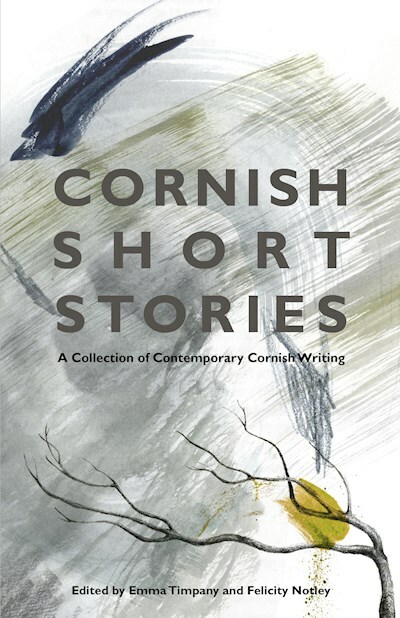 Cornish Short Stories features a wide array of writing from both emerging writers (like me!) and more established writers, covering a range of different subjects. It even has woodcut illustrations, which I'm very excited about. The one thing every piece has in common is that they are all set in Cornwall, a place that is full of great places to set stories in. And it has a beautiful front cover. This bold and striking new anthology showcases Cornwall’s finest contemporary writers, combining established and new voices. Ghosts walk in the open and infidelities are conducted in plain sight. Two teenagers walk along a perfect beach in the anticipation of a first kiss. Time stops for nothing – not even for death. Sometimes time cracks, disrupting a fragile equilibrium. The stories are peopled with locals and incomers, sailors and land dwellers; a diver searches the deep for what she has lost, and forbidden lovers meet in secret places. Throughout, the writers’ words reveal a love of the incomparable Cornish landscape. 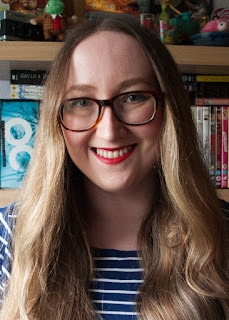 My story, The Haunting of Bodmin Jail, is a ghost story, but with ghosts who are more annoying than they are scary, and that's all I'm telling you! If you want to know more you'll just have to buy the book, which is due out on the 2nd of April 2018. You can pre-order it already, if you want to, and I've included a few links below to help you find it. I'm incredibly proud of The Haunting of Bodmin Jail and beyond excited that it has been included in this collection. I hope you'll like it as much as I do! You’ve felt the hum of the earth in your toes from the day you were born. Seawater floods your veins, the crackling of fire is barely contained beneath your skin, and the rush of wind settles in your every breath. There is dirt and magic under your fingernails. The world is yours to command. The very things that make life and death are under your power. The above is an extract from a short story I wrote for deardamsels.com, called 'Witch', which was published on the site this weekend. 'Witch' is a story about magic, secrets, and you. The magic obeys you, it is the one thing that does, even when that means holding it down where it can not breathe, where it struggles against your ribcage and fights to be free. For the sake of your brother, you kept it where it could not see the sun. I'm incredibly grateful to Dear Damsels for how kind they've been about this strange, dark little story and I sincerely hope this won't be the last time I write for them. I guess the thing that matters to me is witches? You can read 'Witch' right here. I hope you like it!